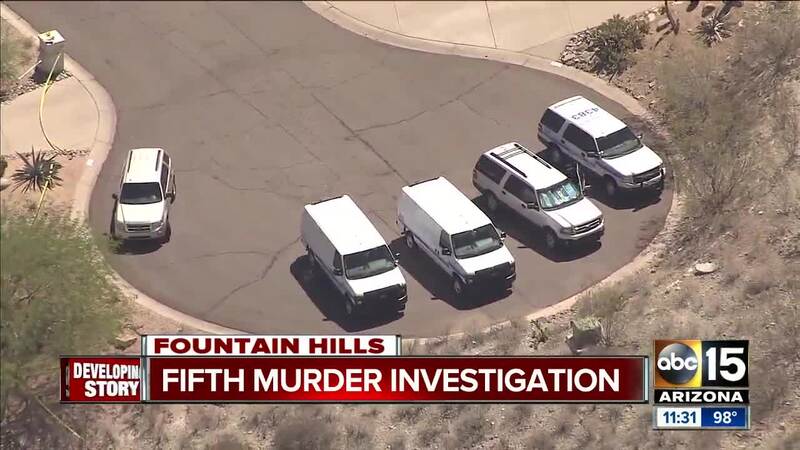 Maricopa County Sheriff's officials are investigating two deaths in Fountain Hills that police confirm are believed to be connected to a string of homicides in Phoenix and Scottsdale. 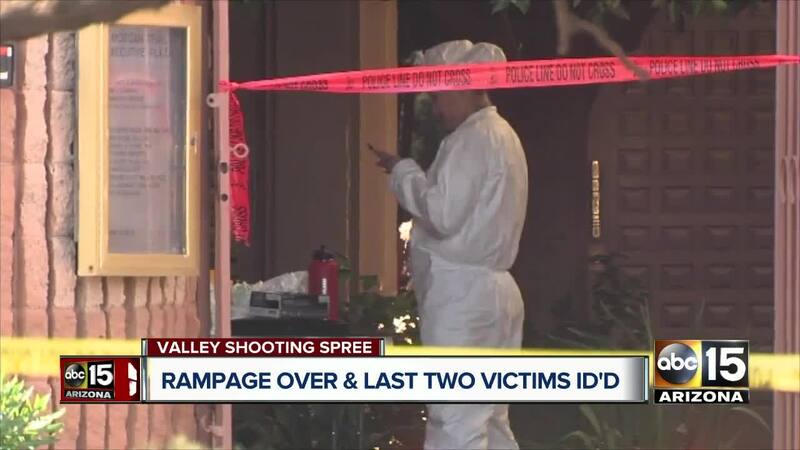 Scottsdale police say the scene at a home near Golden Eagle Boulevard and Sunridge Drive has been linked to the deaths of prominent forensic psychiatrist Steven Pitt at his Phoenix office on Thursday and two paralegals at an Old Town Scottsdale law office on Friday . The Saturday morning death of a Scottsdale life coach was also connected. Police say they were surveilling the suspect, 56-year-old Dwight Jones and connected him to the Fountain Hills home. When police arrived at the home Monday around 12:20 a.m. as part of a welfare check, they used a ladder and saw a man shot and killed. Once inside they also found a woman that was killed. The two victims were identified as 70-year-old Mary Simmons and 72-year-old Bryon Thomas. Police say Jones is believed to be responsible for the shootings. It's unclear what the motive was behind the shooting at this time. 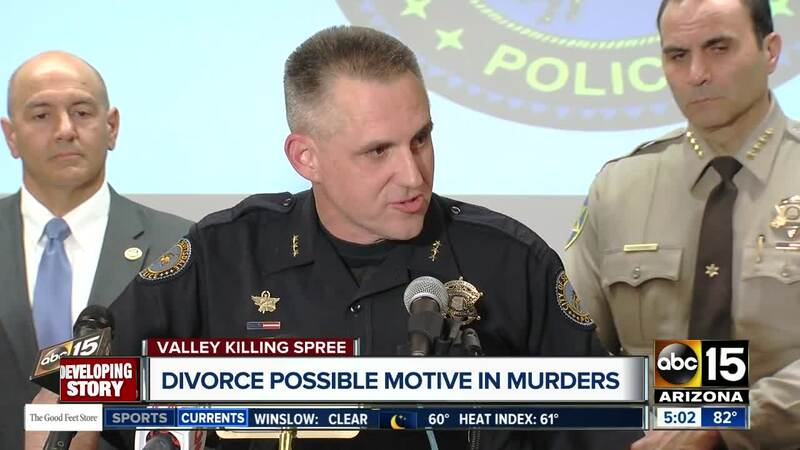 Police have yet to disclose if there was a relationship between the victims and suspect. Jones was found dead from an apparent gunshot wound at a Scottsdale hotel on Monday morning . Stay with ABC15 for more information on this developing story.